This is a program that works very similarly to Instant Rewards. This is a program that is known as an incentivized offer program. The way it works is that you are tasked with promoting the program to others, and in turn promoting the sign up of a trial offer or service in exchange for a reward such as cash or popular items such as an MacBook pro. For every sign up, you earn cash. Unlike Instant Rewards however, this program incorporates a level system. For every credit offer that you complete, the higher a level you go up and thus the more money you can make per signup. Actually, this is one of those rare programs that actually works. The problem is that most people aren’t taught how to make the program work for them and hence why many end up failing. Your success with this program ultimately depends on your marketing skills and willingness to learn. However, if you know how to market the program properly, utilize an email marketing campaign, actively promote the program and actually teach the people who sign up under you to successfully promote it like I am, you can succeed. Level Rewards is a program that is meant for people who are looking to make legitimate money online and who could use fast cash. It can be for anybody, from those fresh out of college or those in their retirement years looking to do something in their free time. When it comes to training, there is not much offered especially from the creators of the program itself. The training that you can expect to receive is from your sponsor directly, which to be honest, not many of them do. You will rarely find sponsors who take the time to create training and offer that to their own signups. So, if you don’t have any marketing experience, don’t expect to be successful. As far as support goes, there are two different places you can go to receive support: The newbie Facebook page or the support ticket system on the actual website. If there is one thing that Level Rewards is good for, it is offering support, even if they don’t give you all of the answers you need in order to succeed with it. This program is free to sign up for. However, there is some cost associated with signup for to complete your credit offers. Some of the credit offers can range from $1.00 to as high as $79.99. What you pay is obviously up to you, but you can easily complete the first level credit offer for free if you wish. As somebody who has successfully promoted Instant Rewards and has even promoted Level Rewards successfully, there are many things I just don’t like about this program. While the leveling system may seem like a good idea at first, it is not as great as the owners claim it to be. While you can end up paying out of pocket to raise your own levels, it doesn’t matter in the end especially if those that sign up under you don’t level up as well. So, if you have 100 signups, but nobody passes Level 1, you will only earn $5 per referral. After all of the work you will have to put in to achieve this feat, it is not monetarily worth it in the end. I have had the same issues when I was promoting Instant Rewards and another issue I have with Level Rewards are the sponsors themselves. Many of the sponsors don’t actually teach those that sign up under them how to promote the program for themselves and are only out to make their next buck. This is bad for those who are told promoting the program is easy, spend the money on completing their credit offer and are then left in the dust to figure things out for themselves. 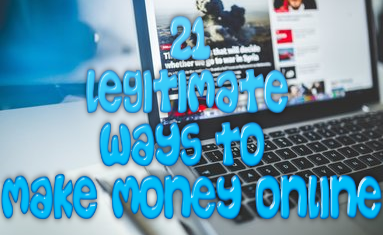 When you work from home, the main goal is to make enough money that not only can you pay your bills, but also earn money on a reoccurring basis. Level Rewards is not a program that will help you to achieve this. With the Level Rewards business model, you will earn money from every person that signs up under you. You will not receive reoccurring income every month they stay a member, which means you will end up constantly promoting the opportunity in the hopes of having people sign up under you. So, if you don’t mind constantly bugging people to sign up under you every month and not earn anything from your referrals every month in the process, then this is the opportunity for you. One of the most surprising things I have ever seen on the Level Rewards Facebook page is the fact that many of the new members have absolutely no clue what they are doing. This is not their fault of course. This falls on those who brought them into the program. 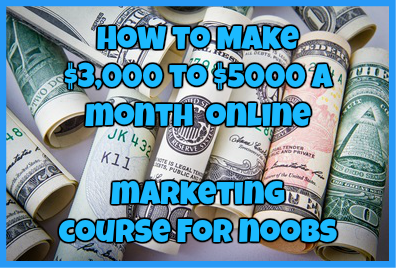 They are told from the start how easy it is to promote the program and how much money they can make, without being told the realities of online marketing and the kind of work it is going to take to make money with this system. As a result, many of the new people who are brought into the Level Rewards system don’t have a clue when it comes to marketing the opportunity to others, how to follow up with prospects or where to promote the opportunity and as a result many of them are constantly asking for help on the official Level Rewards Facebook page. To be honest, after being a part of the Level Rewards and Instant Rewards myself, I know from experience how viable this work from home opportunity actually is. While it is a good opportunity to make some extra cash here and there, it is not something you can actually earn a full-time income from. While it is a legitimate opportunity, it is one that I don’t recommend wasting your time on. Have you tried Level Rewards? Did you have success with this program? What did you think of it? Regardless, I would love to hear from you! Don’t hesitate to drop a comment below telling me about your experience.